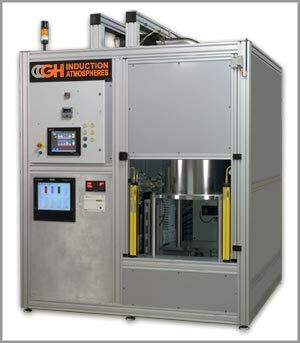 GH Induction Atmospheres provides customized machines for a wide variety of induction heating applications: material joining processes such as brazing, soldering and curing; material processing applications including hardening, annealing and melting; and component assembly applications such as epoxy bonding and heat staking metal into plastic. We also provide solutions for catheter tipping, hot heading and other component manufacturing processes. Please use the links below or at left to learn more about our proven machine designs for a specific application. Our induction heating vacuum furnaces are designed to heat parts of virtually any shape in a high temperature, high vacuum environment or in partial pressure of an inert gas. Three different models with different power levels and capacities offer a compact footprint that fits easily into your manufacturing cell. There are very specific reasons to use induction heating for industrial brazing: selective heating, better joint quality, reduced oxidation and acid cleaning, faster heating cycles and more consistent results. 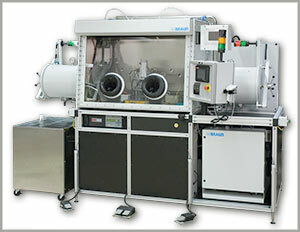 We offer machines for open air, controlled atmosphere, bell jar heating, and high vacuum operation. Induction heating technology is increasingly being used for industrial forging applications because they offer an unbeatable combination of speed, consistency, control and efficiency. We offer horizontal and vertical forging machines for bar ends (screws, ties, bolts, ankles, etc. ), circular or square section billets. Induction heating allows the treating of a particular area of the part, so as to obtain surface hardening localised in particular zones. We offer both static and progressive heat treating machines in vertical and horizontal configurations. We also build indexing turntables and machines for heat treating in an inert atmosphere. Our Bell Jar heating machines melting precious metals in a protective atmosphere. 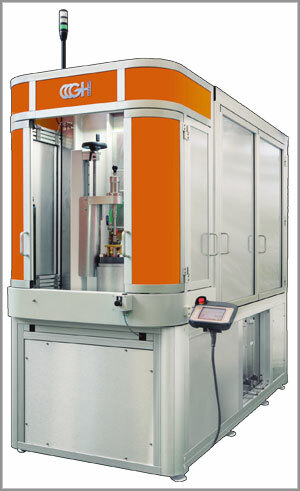 We offer single chamber units ideal for laboratory use and automatic systems for high volume factory production. The vacuum chamber lifts up and out of the way for easy access to the heating zone. Our semi-automatic epoxy bonding systems are ideal for bonding flexible, epoxy-based gaskets to metal or other conductive materials without a third bonding agent. Other common applications include thermoplastic composite bonding and rubber/washer bumper assemblies. Our heat staking machines are ideal for inserting plastic components into metal assemblies. Cycle times are typically less than 15 seconds per part.